The 2018 Honda Civic Coupe is here for a thrill ride, from its unexpected exterior to the available turbocharged engine. 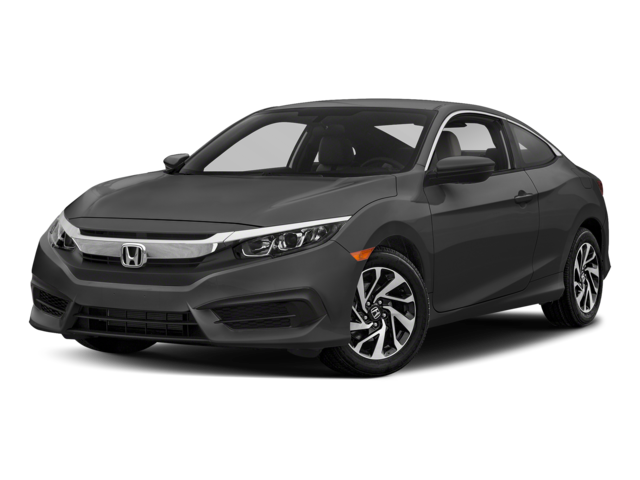 This two-door coupe model takes all the comfort and convenience you love about the Civic, and fits it into a zippy, aggressive package. With five trims, two engines, and two transmission choices, it’s easy to find the Civic Coupe that’s everything you want. From front to back, the 2018 Honda Civic Coupe creates a unique impression. Every angle is sharp and sleek, shaping a bold and aggressive face. Meanwhile, the sophisticated body lines remain sharp and flowing all along the Civic’s profile. Its long wheelbase accentuates the sporty looks even when it’s standing still. A wide stance makes its aggressive vibe even more evident. The Touring trim features all-LED headlights, perfect for lighting up the road and creating a noticeable light signature. Plus, the exclusive rear taillight design still carries the distinctive “C” arch. LED taillights stretch across the full length of the rear deck lid. You can get your 2018 Honda Civic Coupe in any of eight distinct colors, from sleek Lunar Silver Metallic to bright Aegean Blue Metallic. The Civic Coupe is also one of the few models that offers the eye-catching Energy Green Pearl exterior color. There are more Honda Genuine Accessories to make your Civic Coupe unique, as well, like the aerodynamic wing spoiler. You can also get bigger alloy wheels to set you apart, and splash guards to help protect your paint on the road. The 2018 Honda Civic Coupe offers cutting-edge technology and convenience features. This new coupe offers integrated satellite-linked navigation, which even comes standard on the Touring trim. Meanwhile, every Civic Coupe comes with a multi-angle rearview camera to help you safely park and reverse. You can also get Honda LaneWatch on select trims, which keeps a camera on the lane next to you. LaneWatch offers nearly four times the visibility that your side mirror alone provides, so you can merge safely and efficiently. There’s more conveniences for drivers who travel with their devices, like an available wireless charging pad and a USB port that not only charges your device, but also acts as an audio interface. With an available 450-watt, 10-speaker premium audio system, you’ll want to pick your favorite tunes and turn them up! The 2018 Honda Civic Coupe also offers compatibility with Pandora, SiriusXM Radio, HD Radio, and more. You can hook up your compatible smartphone through Apple CarPlay or Android Auto to take all your favorite music, apps, and more on the road. The 2018 Honda Civic Coupe goes above and beyond your performance expectations. It offers up to 174 horsepower, with excellent handling and fully independent suspension to give you a thrilling ride. The standard 2.0L naturally-aspirated engine offers 158 horsepower and returns 39 highway mpg*, for a combination that’s as economic as it is fun. If you go for the EX-T trim or above, you’ll get the turbocharged 174-hp engine to launch you forward. The Civic Coupe’s hot handling comes from its standard MacPherson struts and lightweight but rigid body structure. It gives you light, responsive handling that makes the 2018 Honda Civic Coupe easy to drive around town and fun to open up on twisty roads. There are two transmission choices to suit your favored driving style. The standard Civic Coupe comes with a snappy six-speed manual transmission. You can also get the six-speed combined with the turbocharged engine if you opt for the EX-T trim! If you prefer, Honda’s excellent CVT automatic transmission is available on every trim, and comes standard on the LX-P, EX-L, and Touring trims. These CVTs are optimized to match each available engines, so you can get maximum power and efficiency from your Civic Coupe. The 2018 Honda Civic Coupe has engineering confidence that translates into the driver-oriented cockpit. Everything is ergonomically placed and within easy reach of the commanding driver’s seat. The instrument panel is designed to be easy to read at a glance. It’s a single-level display that relays information at a glance, and leaves you with more time to watch the scenery fly by. The storage console is also designed to hold anything the driver needs it to. It will easily accommodate a tablet, and also puts cupholders and controls in easy-to-reach spots. This well-appointed cabin gets even better with available heated front seats and leather trim. Heated seats come standard starting on the EX-T trim, while the EX-L and Touring also give you luxe leather details. You can design your 2018 Honda Civic Coupe with your choice of two cloth and two leather combinations. The classy two-tone flair makes it easy to settle in and get comfortable. The 2018 Honda Civic Coupe offers plenty of space to bring some friends along for the ride. This coupe has ample seating for four or five passengers, and it has all the the nooks and crannies you need to store everyone’s devices. The Civic also has tons of cargo space in the trunk, as well as split-folding rear seats. The 2018 Honda Civic Coupe is packed with standard and available safety features. It comes with standard air bags, child safety locks, and daytime running lights. Additionally, it comes with electronic stability control, traction control, and brake assist, as well as ABS and 4-wheel disc brakes. You’ll also get a tire pressure monitoring system, and LATCH anchors and tethers in place in the two rear outboard seats. Honda Sensing comes standard on the Touring trim, including advanced safety and driver-assist features. With Honda Sensing, you’ll get Forward Collision Warning, Lane Departure Warning, a Collision Mitigation Braking System, and a Collision Mitigation Braking System. It also includes a Lane Keeping Assist System and Adaptive Cruise Control with Low-Speed Follow. Honda LaneWatch also comes standard on the EX-T trim and above. As rated by the NHTSA**, the 2018 Honda Civic Coupe scored top marks! There are five trims to choose from on the 2018 Honda Civic Coupe. The entry-level LX trim comes with the six-speed manual transmission and 16-inch alloy wheels. For some more amenities and a CVT transmission, you can opt for the LX-P trim, which includes Remote Engine Start, Smart Entry, Push Button Start, and a moonroof. The EX-T comes with the 174-hp turbocharged engine, as well as Honda LaneWatch. It also has standard Apple CarPlay and Android Auto connectivity. For a sophisticated leather interior, you can go for the EX-L or Touring trims. The EX-L has leather-trimmed seating, a leather-wrapped steering wheel, and a leather-wrapped shift knob. It also includes an auto-dimming rearview mirror. The top-of-the-line Touring model also includes Honda Sensing, Honda Satellite-Linked Navigation, LED headlights with auto on/off, and the 450-watt premium audio system. 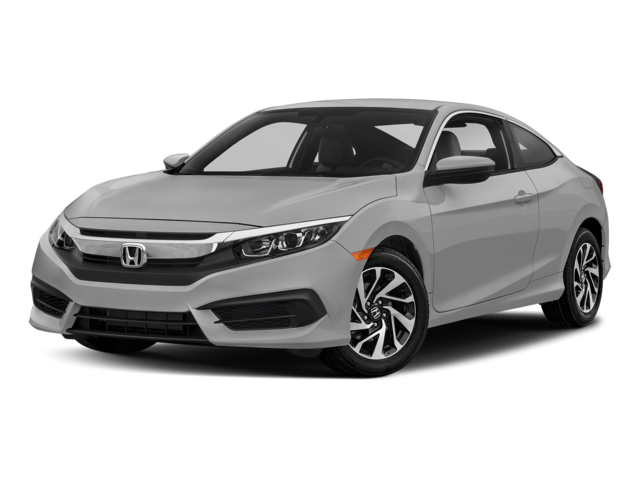 Need help choosing the right 2018 Honda Civic Coupe? The 2018 Honda Civic Coupe comes with a great warranty package, listed below, that will ensure your car’s protection for many years. All new Honda vehicles are covered by both a Limited Vehicle Warranty, and a Powertrain Limited Warranty. All Honda Genuine Accessories that are installed at the time of a new vehicle purchase are also covered for 3 years or 36,000 miles. Honda Genuine Parts are covered for 1 year which includes parts replacement and labor. 24-hour emergency road service is also available during the 3-year/36,000-Mile Limited Warranty. It includes jump-starting, flat tire and lockout assistance, towing, and more. *Honda Care is available to add to your new 2017 Honda Civic Coupe. However, if you are a Buerkle Rewards Plus member, every new or and used vehicle purchase also comes with 2 free oil changes, 2 free tire rotations, 5% back on service and parts purchases, and much more, so make sure to check it out! If you think the 2018 Honda Civic Coupe is right for you, stop by and check one out! Our great sales team can walk you through our inventory and make sure you find one with all the options and features you need. Check out our inventory online to see which trims, colors, and options we have in stock. If you have any questions, feel free to give us a call or stop by in person! Remember, if you buy a new 2018 Honda Civic Coupe from us, you’ll be eligible for our Buerkle Rewards Plus program! This program is free to join and will give you access to 5% back on service and parts purchases, a 3-day, 300-mile exchange policy, 2 free oil changes, and much more. So come and see us soon at our dealership here in St. Paul, MN. *28 city/39 highway/32 combined mpg rating for LX model with 6-speed manual transmission. 30 city/39 highway/34 combined mpg rating for LX & LX-P CVT models. 30 city/41 highway/35 combined mpg rating for EX-T model with 6-speed manual transmission. 31 city/40 highway/35 combined mpg rating for EX-T, EX-L and Touring CVT models. Based on 2018 EPA mileage ratings. Use for comparison purposes only. Your mileage will vary depending on how you drive and maintain your vehicle, driving conditions and other factors.